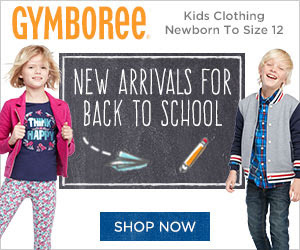 Just in time for Back to School, She Is Media is excited to announce our partnership with Gymboree! Gymboree makes quality clothes that let kids be kids. In soft, comfy fabrics made to last, their clothes tumble, twirl, stand the test of playtime and still look like new. So let kids be kids and them play a little longer. Preview the Gymboree lander here.